Here's another renovated survivor, the Waterloo Corn Warehouse, opened in 1868 to a design of G.F. Lyster. Once the world's first bulk-storage grain warehouse, it's apartments now. 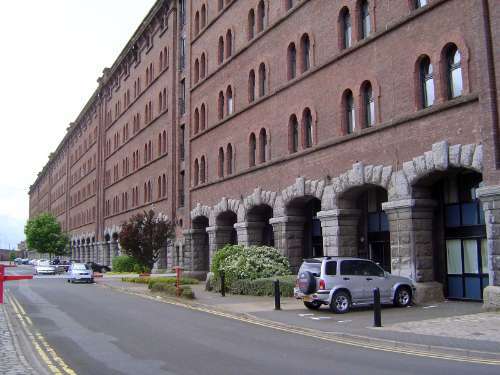 Compared to Hartley's warehouses, the Romanesque revival facade is almost frivolous.